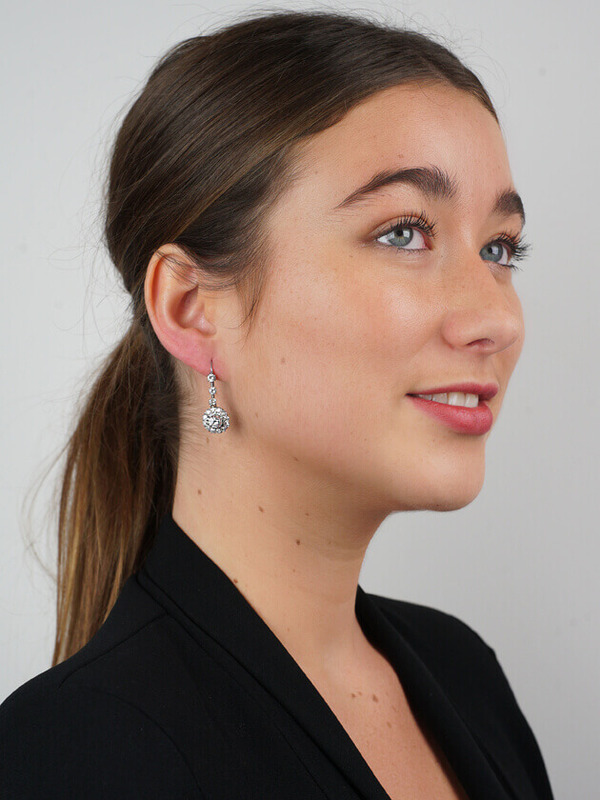 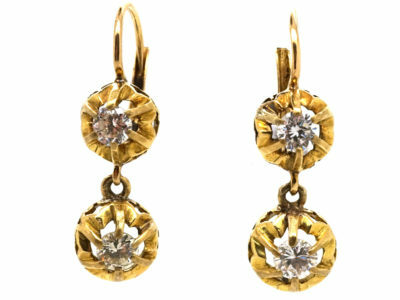 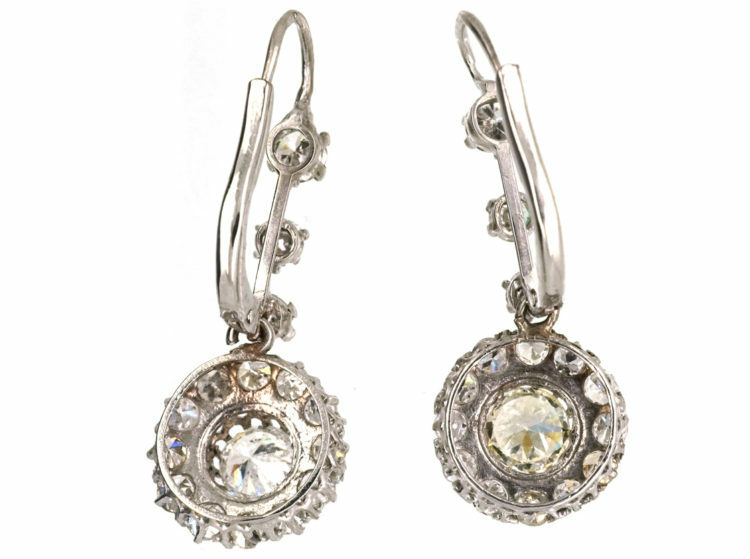 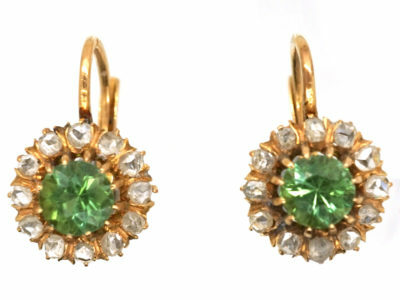 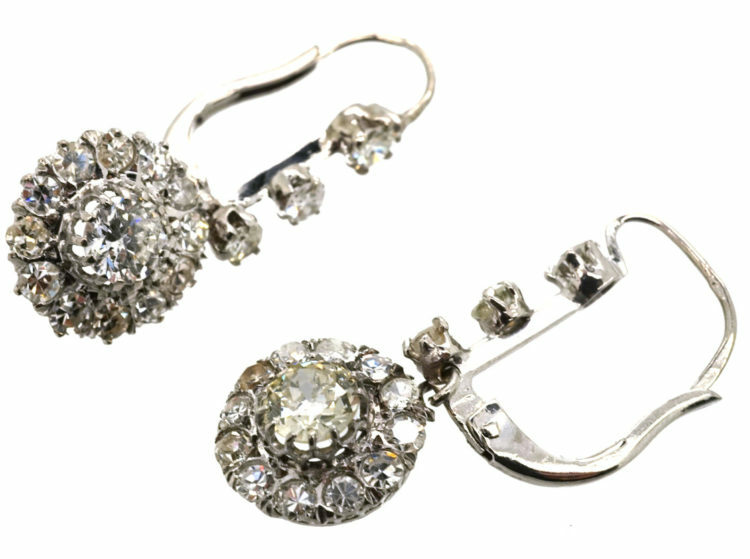 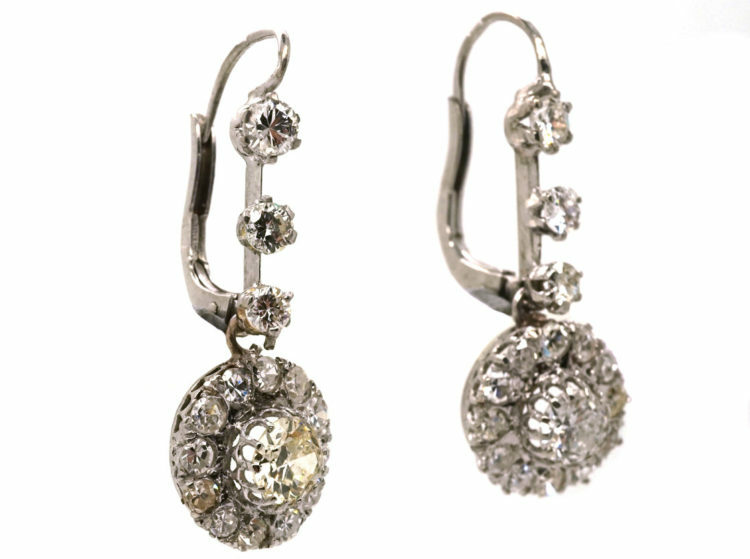 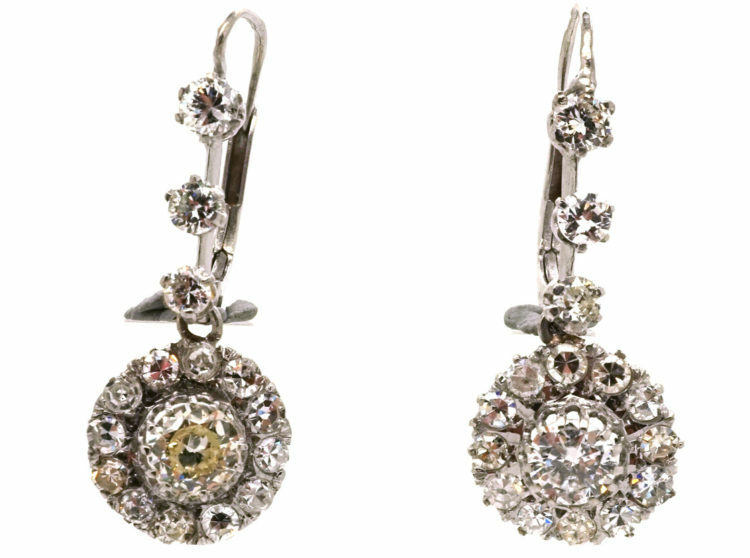 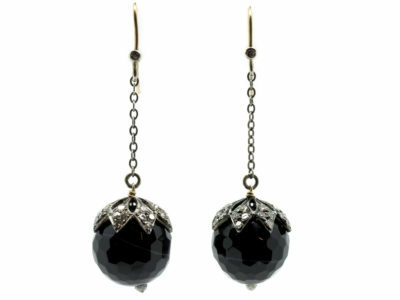 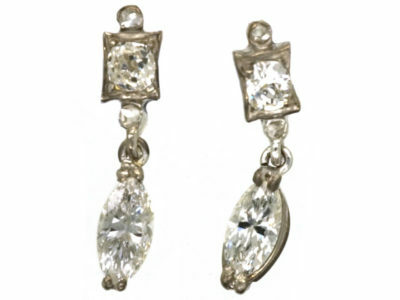 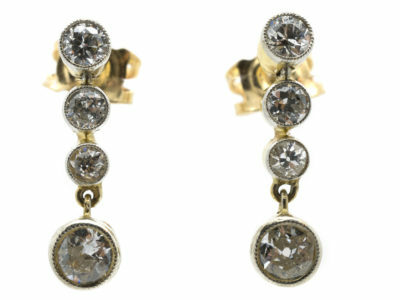 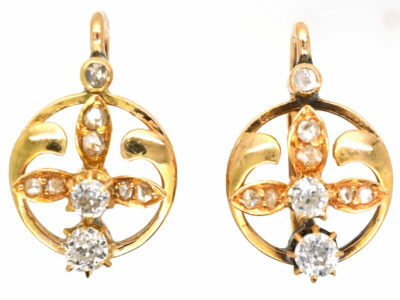 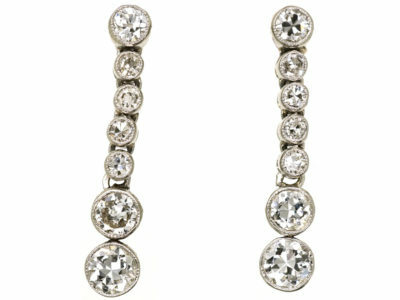 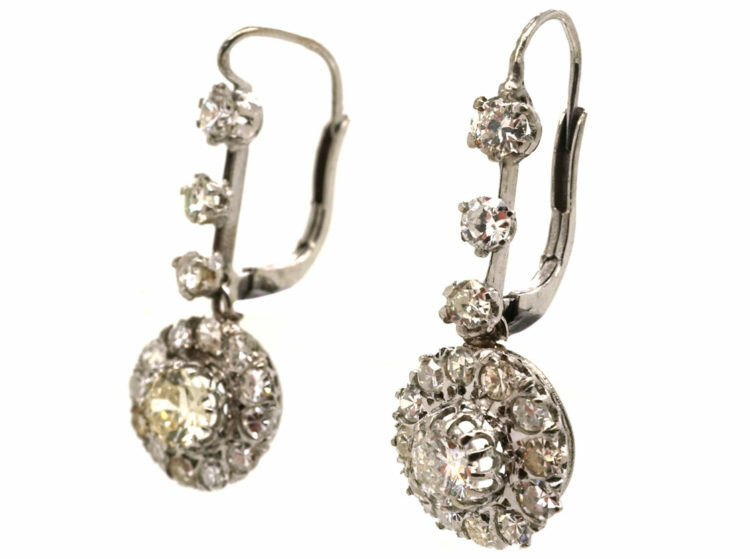 A beautiful pair of 18ct white gold drop earrings that were made circa 1910-1920. 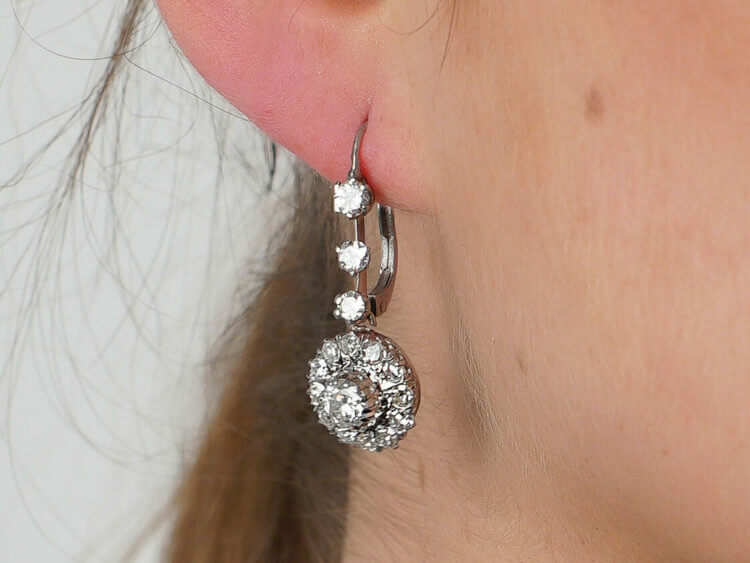 They are set with a half carat diamond in the centre surrounded by twelve well matched white diamonds with three diamonds above. 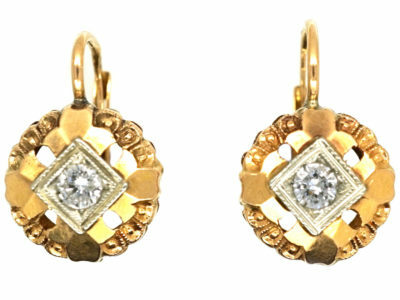 The photographs do not do the diamonds justice as they are much whiter! 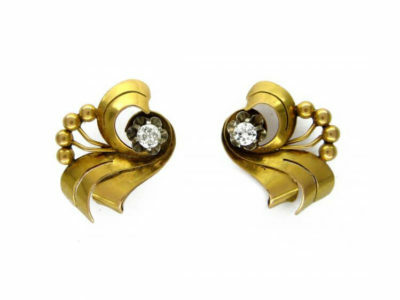 They have secure hinged back fittings. 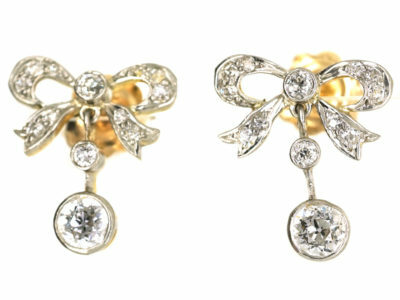 The effect is marvellous when worn.